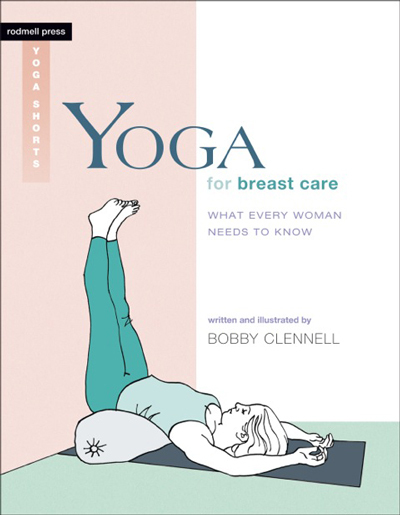 Yoga for Breast Care: What Every Woman Needs to Know (Rodmell Press), written and illustrated by Bobby Clennell; click Yoga for Breast Care to order on Amazon. Breast health is a sensitive subject, and breast problems leave women feeling vulnerable on many levels. In Yoga for Breast Care, senior Iyengar Yoga teacher Bobby Clennell, author of The Woman's Yoga Book and Watch Me Do Yoga, offers a comprehensive program of asana (poses) and pranayama (breathing techniques) to support breast health. Beginning with a description of breast development and structure and the lymphatic and hormonal systems, as well as breast conditions including pain, fibrocystic breasts, dense breasts, and more, Yoga for Breast Care then presents a variety of asana and pranayama divided into categories according to the position the body assumes: standing, sitting, twisting, inverting, bending forward or backward, and lying down. Also included are active and restorative sequences for immunity, energy, cyclic and noncyclic breast pain, cysts, and for pregnancy and nursing mothers. Practices for breast cancer survivors include sequences for those who have recently undergone breast cancer surgery and are receiving intensive chemotherapy or radiation treatment and for those with decreased mobility and numbness in the arm, shoulder, and chest. Whether readers have experienced problems with their breasts or not, this book provides positive and practical methods for raising awareness and regaining confidence in the body. Part 1: About the Breasts discusses breast development and structure and the lymphatic and hormonal systems, and gives an overview of yoga poses and how they effect breast health. Part 2: Breast Problems describes various breast conditions, including pain, fibrocystic breasts, dense breasts, PMS, pregnancy, breastfeeding, menopause, and breast cancer. Part 3: Yoga Poses for Breast Care outlines a variety of asana and pranayama to help women care for their breasts. Yoga poses are divided into categories: standing, sitting, twisting, inverting, bending forward or backward, and lying down. Part 4: Practicing Yoga answers FAQ and offers active and restorative sequences for immunity, energy, PMS and noncyclic breast pain, cysts, pregnancy, nursing mothers, and breast cancer. …Bobby [Clennell]'s just come out with new book called Yoga for Breast Care and its message is important for all female yogis and their teachers that work with them. In the introduction she gets right to it:, "many women…have a love/hate relationship with their breasts." She goes on to explain that ancient societies "rejoiced in the connection between breasts, fertility, and nourishment." But that in the world we live in today "breasts have become fetishized, are objects of embarrassment or fear, and are exploited to serve marketing and sell products." This modern disembodiment of breasts has made it difficult for women to make to take into account the significant "stress and imbalances" that effect the breasts when caring for themselves. Not surprisingly given Bobby's almost 40 year career as a yoga teacher she recommends a regular yoga practice. Read the full review here (page 45). "Yoga for Breast Care is recommended for women who want to take a positive approach to developing a balanced yoga practice that they can continue with confidence for a lifetime of breast health." Many of you know that IAYB is a burlesque loving yogi, so I have seen many many breasts, of all shapes and sizes. One of the things I love about burlesque is how breasts are the star of the show. They are unveiled, played with and celebrated. A burlesque show may one of the few places in our culture where breasts are active agents – they are uninhibited and unconstrained, they spin and bounce, and they even make things move. Beyond this little subculture, however, breasts are often a source of anxiety for women. Breast health is a sensitive subject that leaves women feeling vulnerable on many levels. The threat of breast cancer looms, as the World Health Organization estimates that more than half a million women worldwide died from the disease in 2011. There are also other potential breast problems, including fibrocystic breasts and complications from breastfeeding, PMS and menopause. And finally, no woman is immune to the cultural and societal pressures for breasts to look a certain way, leading to modifications and augmentations that may pose even more health risks. Read the full review and listen to the interview here. I absolutely love the Yoga books from Rodmell Press and this book is no exception. As woman, we face a particular challenge when it comes to breast care - worrying about healthy breasts is a full time job. I have long believed that health and yoga go hand in hand and this is what Yoga for Breast Care focuses on. In this trade paperback sized book, I have found some easy yoga poses that are geared towards the health of my breast. The book is a combination of yoga poses and important information about breast and health. The poses are easy to do and actually serve to relax and manage stress, which is one of the huge issues in our every day lives. Written in a language that is easy to understand, the poses and the information are geared to help all of us feel healthier and more comfortable with our bodies. I particularly enjoy the pose that is actually on the cover of the book. It is wonderful for the whole body, including my very achy back. Another wonderful addition to my yoga library. 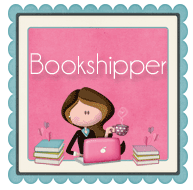 Thank you Rodmell Press.